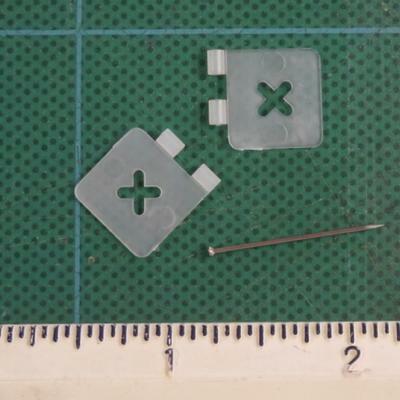 2-part nylon hinges with a metal pin that holds the two pieces together. 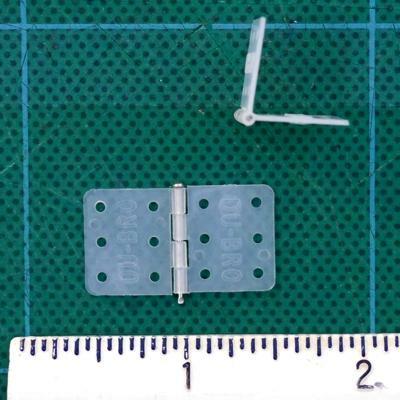 Designed for use in RC airplanes, these are most commonly used by comp rocket fliers for "RotaRoc" type helicopter models. Note that on the Du-Bro Hinges the pin holding the parts of the hinge together is not designed to be removeable, but if desired, you could cut it off and replace it with an "L" shaped pieces of piano wire, etc., to make a hinge you can seperate. 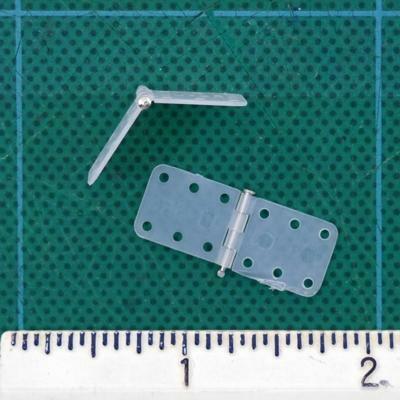 The SIG Hinges come with a removeable pin.